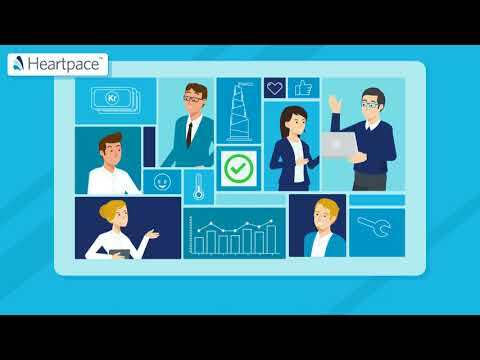 Heartpace is modern Continuous Performance Management software. Our clients choose Heartpace as OKRs management & Strategic Alignment tool. Develop connections in vision, strategy and objectives for all employees on one platform. Keep your employees Focused, Motivated and Aligned with Great 1:1 Talks and outgoing Feedback. Increase commitment, performance and profitability. Results are immediate and push the entire company in a positive direction. Subscription that costs about $5 per month. Price may vary depending on commitment and so on. Heartpace was added by Lena_Heartpace in Apr 2019 and the latest update was made in Apr 2019. The list of alternatives was updated Apr 2019 There is a history of all activites on Heartpace in our Activity Log. It's possible to update the information on Heartpace or report it as discontinued, duplicated or spam. An easy to use, cloud-based, fast and secure HR management software designed for small and medium businesses. sumHR is a modern, delightful, and extremely easy to use Human Resource Management Software that helps startups and SMEs streamline their HR & payroll processes. The real-time people analytics platform – providing organisations with insights that improve employee engagement and retention. 15Five Employee Feedback System. 15Five allows your company to surface problems, celebrate wins, discover great ideas, and stay tuned in to morale. Open HRMS is an open source HR Management software that envisions building a happier workforce. Alternatives to Heartpace for Web, iPhone, Android, Windows, iPad and more. Filter by license to discover only free or Open Source alternatives. This list contains a total of 17 apps similar to Heartpace. Maybe you want to be the first to submit a comment about Heartpace? Just click the button up to your right!